The sun is shining brighter, the flowers start to show, the air is warming up... Spring is in the air! The very best season to travel; avoiding crowds and the heat of the Summer, and having the flexibility to make your plans as you go, without having to book months in advance for dining or entertainment, because there is always an option available.. Full freedom, best weather, and the place for yourself to enjoy! Terre Blanche Golf Academy, a center of excellence, internationally recognized for the quality of its facilities and the expertise of its instructors, is aimed at players of all ages from beginners to pros. Terre Blanche Golf Academy offers a wide range of courses and lessons, a golf school for children and a campus for high-level players. Go on a nature walk ! Terre Blanche was built on 300 hectares of wild countryside, where, rather than dominating, it co-exists with nature. St-Cassien Lake is an outstanding wildlife reserve just a few miles from the resort. It has become the flight path of many migratory and non-migratory birds, including the mallards and waders of various kinds who are now regulars at Terre Blanche. 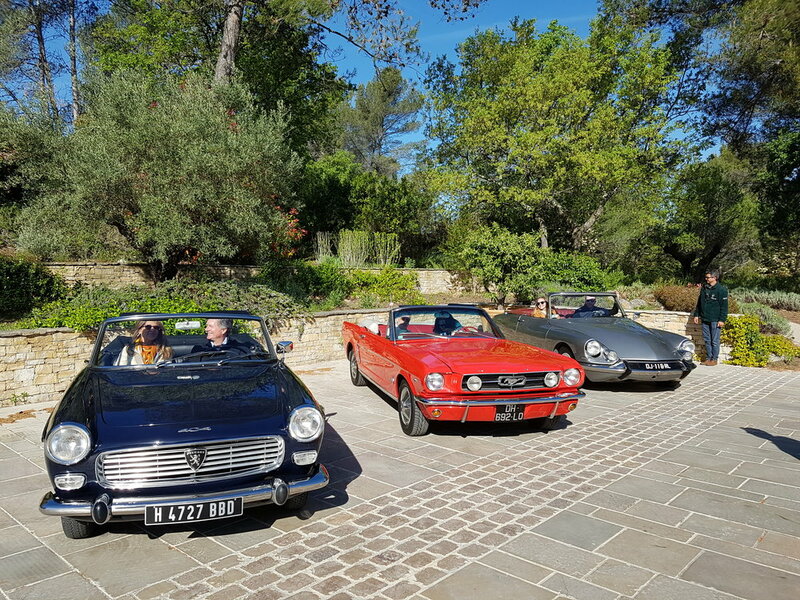 You can observe dozens of species of ducks, pheasants and swans strutting along the pathways, spot hares in the undergrowth and even meet the five donkeys who have become Terre Blanche’s mascots. Around the Château Bouge, you will spot conifers planted in the late 19th century but also Lebanon cedars and incense cedars from the Rocky Mountains in California. Portugal, the oldest country in Europe with the same define borders since 1139 and its Alentejo region are home to São Lourenço do Barrocal, a fascinating Monte, an ancient small farming village in the same family for over 200 years, which has been brought carefully back to life as a remarkable hotel of understated luxury. Jose Antonio, the last generation of this family, has invested the last 14 years in creating this undiscovered jewel surrounded by olive groves, vineyards (both wines and olive oil are produced on property and are excellent) and 'Barrocais' (wonderful stone formations). The wonderful rooms and cottages (1, 2 & 3 bedrooms), amazing restaurant 'farm to table', pool with its own restaurant and myriad of outdoor activities make this a paradise for those who want to connect with their countryside spirit, alive in every single corner of the vast private estate with 2.000 acres, including access to the largest artificial lake in Europe, Alqueva. Here, the feeling of being at home is intimately connected with the sense of belonging to the vastness of the land. 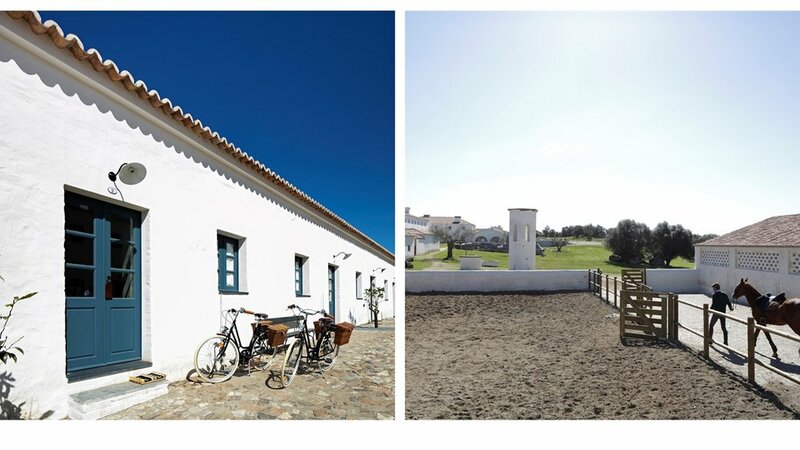 In Alentejo, farm and landscape soon become your home. Activities suggested: Discover the megalithic heritage of Alentejo, Portugal. A true journey through the ages, with Manuel Calado, one of the most relevant Portuguese archaeologists, in a conversation about the incredible history of these pre-historic monuments and the rich heritage of this landscape. Learn all about the largest menhir in Iberian Peninsula and settlement sites of a range of ages, including a Roman dam and villa. Learn new skills in a Pottery Workshop. As Portugal's largest pottery centre, São Pedro do Corval has been the home to families of master potters who dedicate their life to the craft. Adobe bricks and terracotta objects are handmade, each day, in the workshops that border the main street and are a living proof of the region booming crafts. Rui Patalim, one of this master potters will come to our Monte to teach how to prepare clay and work it in the wheel, what time to wait for it to dry and how to beautifully finish it. The all renovated guest rooms, suites and villas with private pools spread out in a beautiful 60 years old garden where nothing is taller than the trees, right by the sea the stunning Beach Club with seawater swimming pool, six stupendous restaurants, real Thalasso Spa, impressive private golf course up on the hills, exceptional kids club and fitness room makes the Marbella Club the most emblematic beach resort in Spain. The celebrated beach resort didn’t start life as a luxury boutique hotel. But it feels as much of a retreat as when Prince Max fell for the sea-facing farmhouse here, just under a century ago. Distinguished yet discreet. Sophisticated yet sociable. Honeymoon seclusion and a home-from-home for families. Activities suggested: Visit the Luthier. The Spanish Classic or Flamenco Concert guitar is built by hand using woods of the highest quality and following the purest Spanish tradition. Enter the workshop of the only artisan guitarist in Marbella with a guided tour to discover the full elaboration process of the Spanish and Flamenco guitar by the guitarist himself! just a 40-minute drive away from the Hotel. Full- flavoured Flamenco nights take place in an emblematic 19th Century mansion located in the historic centre of Málaga, where the Amaya family from Sacromonte in Granada, runs the show. Enjoy 75-minute performances with artists of the highest levels directed by Sensi Amaya and watch the magic of Flamenco become a true heritage to humanity. When Jeanette and Claus Thottrup discovered what would become Borgo Santo Pietro in 2001, they immediately fell in love with the energy of the place. They wanted to create a nurturing haven where guests could feel immediately at home; where the thought and care behind each detail raised it a stratosphere above luxury hotels on the market by offering something real – a tangible sense of community. 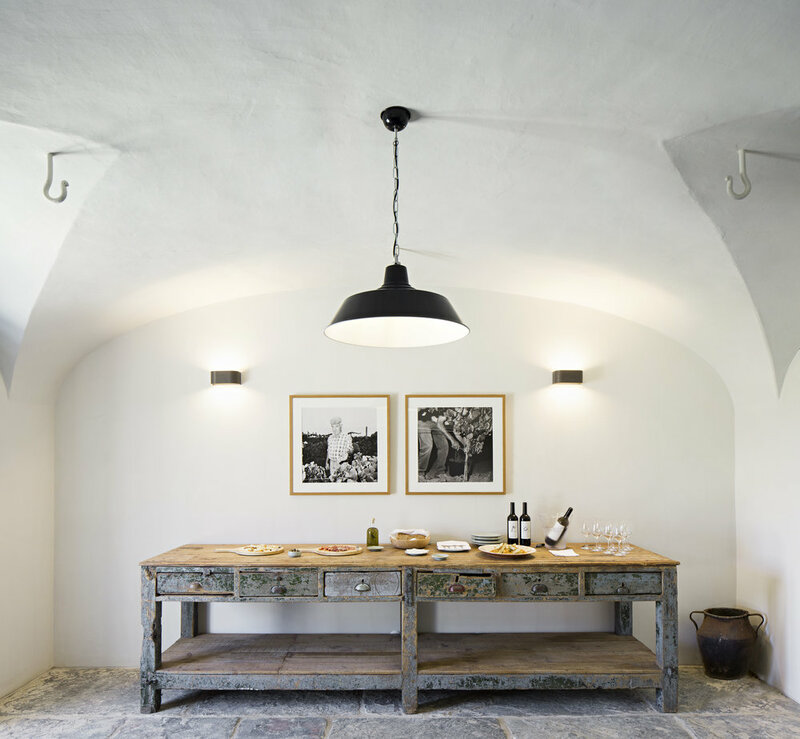 Borgo Santo Pietro opened its doors in 2008 and has since grown into a flourishing 200-acre boutique hotel and wellness estate with a ‘farm to plate’ philosophy that supplies a Michelin-starred restaurant; Meo Modo and a second restaurant; La Trattoria “Sull’Albero”. The estate comprises an organically cultivated working farm with sheep, chickens, pigs and bees; an artisan cheese dairy; extensive culinary gardens, including fruit orchards and nut fields; and two vineyards. Activities suggested: Take a Cooking Class at the Borgo Cooking School. The school provides the perfect environment for anyone looking to explore their love of the culinary arts and learn the essentials of Italian cooking. Guests are encourage to get to the heart of our ‘farm to plate’ philosophy, from transforming sheep’s milk into artisan cheese with the shepherd and learning to make fresh pasta with the farm eggs under the guidance of Mama Olga to working with our chef on turning seasonal produce into desirable dishes. Mama Olga, our resident “nonna”, grew up in Borgo Santo Pietro and passes down local village traditions, and a few kitchen secrets too! Each month the Borgo welcomes a new resident artist to set up a canvas or workbench in the grounds and offer art lessons to our guests. With heavenly gardens and an extensive estate to inspire that 'inner artist'. During the month of April, paint with the Danish painter Liza Krügermeier who is inspired by a never-ending exploration of colours, light and shadow. Having painted most of her life, Liza still explores new ideas and paths in her painting. She paints on a daily basis and her work has been exhibited in galleries and institutions in different countries. Liza runs a successful art gallery on the Danish island of Møn, where she also offers professional painting workshops. Activity suggested: Trekking the wonderful Fortini Route with private guide. Magnificent path that goes from the lighthouse to the famous Blue Grotto , along the west side of the island. Starting from the lighthouse in Anacapri, on the extreme west side of the island, you walk through the Mediterranean vegetation, with stretches to the sea that offer unique views. After about 3 hours of walking, you reach the end of the path, which coincides with the entrance to the Blue Grotto, striking cave from which you access by sea, characterized by the cobalt blue water. Enjoy this beautiful season and take advantage of all of which Spring as to offer! 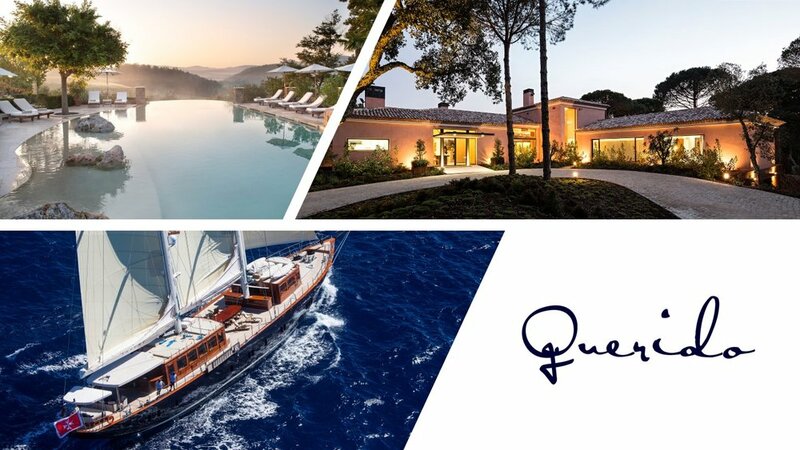 Dreaming of sailing the Mediterranean Sea, on a traditional hand-carved wooden schooner luxury yacht, with an itinerary custom to your very own preferences and desires, five-star boutique hotel services and a Michelin starred restaurant on-board…? That dream is called Satori! From the Michelin-starred restaurant team members flown in from Italy and on-board masseur to the pop-up cinema under the stars, Sonos sound system and wifi throughout, air-conditioned wine cellar, water sport facilities, and extendable hydraulic swim ladder and platform that allows guests to dive straight into shallower turquoise waters, it’s clear to say; Satori feels like a dream! 12:00PM: Embarke in the marina of Gala Galera Argentario area, in the Province of Grosseto, (approx. 1hr 20min drive from Borgo Santo Pietro). Welcome on board and meet our crew. After familiarizing with Satori we will start sailing around the Monte Argentario It is an appealing destination because of its splendid and wild nature, its picturesque corners, and also for its underwater beauties attracting so many scuba divers and enjoy a lovely lunch in a calm bay . We will continue to sail towards the Giglio island and Moore in the splendid bay of Campese. From the Castle at Giglio you'll be able to admire a marvelous view and visit the medieval village. We also suggest to the marina taking a very pleasant and beautiful walk through the Mediterranean maquis following the old mule track (approx. 1 hour walk, downhill). Dinner on Satori: Dine tonight at the Satori’s Michelin starred restaurant with a professional open-view kitchen, expansive mahogany bar and dining area situated mid-deck, where guests are able to watch their personal chef at work and dine in privacy while in harbor. Enjoy a rich breakfast , relax and morning swim in the turquoise waters of the Giglio. Start sailing to Giannutri, it mirrors the uncontaminated nature and is also called Island of the Seagulls because of the thousands of nests existing there; the only two landings are Cala Spalmatoio (East coast) and Cala Maestra (North-West coast) because of the Natural Park and the cliffs surrounding the island. There is a beautiful grotto at Cala del Lino if you love snorkeling or ancient roman remains for sightseeing. Dinner on Satori: Managed by the Michelin-starred restaurants Meo Modo and La Bottega del Buon caffè in Italy, the menu is tailored to local areas en route and ranges from light snacks to gourmet degustations, highlighting the catch of the day. A wonderful wake up in Palmarola island the most western island of the archipelago. We suggest you visit Punta Tramontana, from where you can admire a very beautiful bay called "The Cathedral" because of its cliff falling vertically to the sea and the big bays which remind us of that image. Lunch , relax and enjoy swimming in beautiful turquoise waters. In the afternoon start sailing to Ponza, The whole island is fringed by inlets and coves. Discover Cala Inferno , Ansa dello Schiavone, Cala di Feola e Cala dell’Acqua Here you will find the natural pools, excavated by the sea in the Tufa stone. Cala di Lucia Rosa. This coastline is particularly beautiful and is characterized by a series of grottoes and rocks. Visit Chiaia di Luna, from this marvellous beach you can reach the town of Ponza walking through a tunnel excavated by the ancient Romans. Dinner in Ponza. Experience a lovely dinner in one of the most renown restaurants of Ponza. Overnight in a calm bay. After your healthy breakfast start sailing the island of Ventotene . The old harbor, Porto Nicola, has been excavated by the ancient Romans, as well as the bollards and the portico running along the quay, still perfectly functioning and the ancient Roman fishpond for fish raising, provided with an ingenious system for water recycling through pipes flowing into two covered pools. The island saves other historical vestiges among which the remains of a great roman construction towards Punta Eolo: the Borbonic stairway and the fortress. Lunch and relax and enjoy swimming in the natural marine reserve: Cala Parata Grande, Cala Nave and Parata della Postina zone of the natural marine reserve. Sail in the afternoon to the nearby Island of Santo Stefano, a big rock of a couple of kilometers from the perimeter, where the only building is a prison (of the form circular) and the journey continues towards Zannone and the rest of the wonders of Ponza. Cooking Class Dinner on Satori. Satori offers guests the opportunity to indulge their gastronomic passion by taking cooking classes with the chef, using ingredients freshly harvested from the sea or hand-picked from local markets along the coast, and drawing their inspiration from the sparkling sea viewed directly from the kitchen bench. Early sail to Ischia Island – and enjoy your rich breakfast. Ischia is the biggest of the Flegrean Islands and is surmounted by Mount Epomeo. The island is famous for its thermal springs and is is characterized by a rich, luxurious vegetation, covering not only the cultivated areas (vineyards) but also the little rocks and the stones, forming the tipical "green tufa". The main port serves as the entrance to the city that extends itself all the way to the Aragonese Castle, dating back to the Vth century B.C. Other harbors are: Casamicciola, Florio d'Ischia and S. Angelo. This last one is built on the East side of a stretch of sand linking Punta S. Angelo with the main land and is one of the most picturesque corners of the island, with its unaltered nature. We will circumnavigate the island and have lunch and swim in a calm bay , “off the beaten tracks. Dinner on Satori or in one of the famous restaurants of Ischia. After breakfast still enjoy half of the day in Ischia. 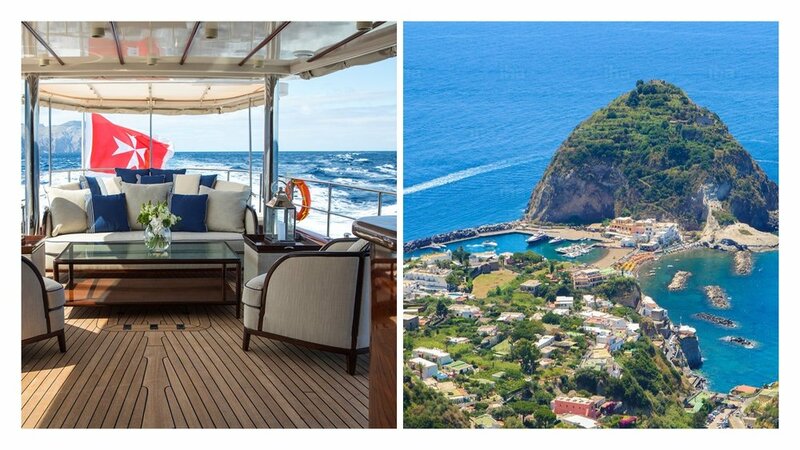 In the afternoon according to the activities you would like to do in Ischia we will sail to Procida island definitely lesser known of the Neapolitan islands, and owes its name to the verb "prochyo", which means "erupted". It was probably formed by the eruptions of volcanoes that are inactive nowadays. The vertical coast is made of Tufa stone, but the inland presents many cultivation and gardens. The maritime and terrestrial environment are perfectly integrated and create an incomparable and marvelous blend. The main port of the island is Marina di Procida a fishermen's village, South of the island is the Corricella, a fishermen's harbour, where the famous movie by M. Troisi, "Il Postino" was shot and Chiaiolella, lovely fishermen's village, with its pink and yellow little houses. Dinner and overnight in Procida. Dinner on Satori or in one of the restaurants of Procida. 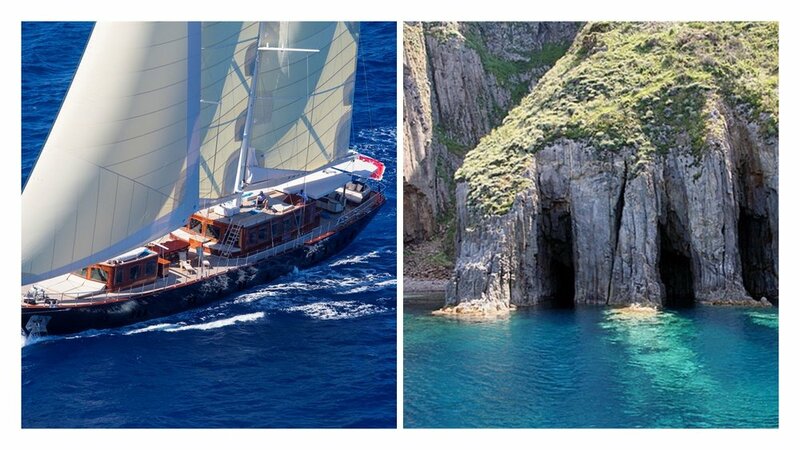 After our rich breakfast we will sail to Capri discovering Cala di Matermania, Cala Ventroso, the White Grotto, the Green Grotto and the most famous Blue Grotto. Enjoy the swim and relax and a lovely lunch. You can’t miss a nice aperitif at the Internationally known Piazzetta of Capri (the main square). Dinner and overnight in Capri. Experience lively Capri at night, and dine in one of the many renowned restaurants. Day 8: Naples, end of journey. Satori is available throughout the Mediterranean in Italian, French, Greek, Turkish, and Croatian waters, with flexible customized itineraries; the choice is yours! So, we've created an itinerary to all our beach destinations, to some of the best places in Europe, and share with you some suggestions for an incredible beach vacation! Experience: Spend the day at MC Beach Club, indulge in that sweetest of pastimes, “the dolce far niente “– lounge on sunbeds, take dips in the heated seawater pool or enjoy an unrivalled service from a lounger on the soft sand steps from the sea. Don’t miss out on the legendary international daytime buffet. Impressively delicious! Eat: Evening at El Estrecho typical tapas bar located in the old town. You will find the best tapas bar in Marbella, open since 1954. The family-run restaurant is known for its “gambas al pil pil” and classic tapas with a wonderful array of meat, fish, seafood and vegetable dishes. Built in the style of an Andalusian village, the spacious guest rooms and suites are spread in 27 three-storey villas, scattered around lush, sub-tropical landscaped gardens, gently cascading down to the Mediterranean Sea, features the new breathtaking Beach Club & Sea Grill plus five sensational restaurants including Del Mar and Suite Restaurant & Lounge, extraordinary Tennis Club and stunning Private Golf Course. 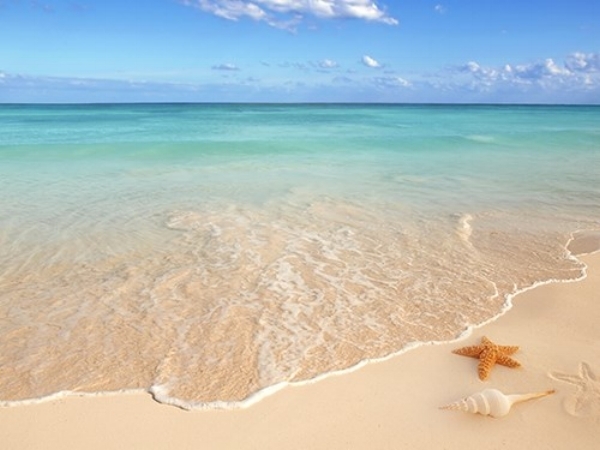 Experience: Enjoy the sea and warm Mediterranean waters! Rent a paddleboard, water bicycle, jet skis, or head for the horizon aboard a sailing yacht. In Afternoon, stroll in the Casco Antiguo of Marbella for some shopping and Spanish tapas. Eat: Dinner at Sea Grill seafood restaurant with breathtaking views of the beach and, even if you decide to dine inside, the floor to ceiling glass walls will allow you to enjoy your meal with unrestricted views of the seascape. The restaurant uses only locally sourced produce and display seafood around the restaurant for you to choose from. End the night at the seductive nightclub La Suite, where you will be encouraged to dance the night away as you please.. Located in Ravello, on Italy's famed Amalfi Coast, with glorious surroundings of brilliant blue sea, a profusion of flowers Palazzo Avino offer visitors a peaceful haven. Originally a 12th Century villa the property has been tastefully refurbished retaining its medieval and baroque features. It features Rooftop solarium and heated swimming pool; Ravello’s only exclusive Beach Clubhouse by the Sea with oceanfront pool; Three distinctive restaurants and a Lobster & Martini Bar, with settings ranging from casual oceanfront to stylishly sophisticated Rossellini’s, one Michelin star gastronomic experience. Experience : Enjoy a memorable day at sea with a private yacht charter! Go for a swim in unforgettable surrounding and navigate the crystalline waters of the Mediterranean to discover hidden grottos (Emerald, White, Green & Blue), picturesque villages (Furore Fijord, Conca dei Marini, Praiano, Positano) and wonderful islands (Li Galli, Capri). Come back in time to catch the sunset from the Lobster and Martini Bar sipping on one of the 100 different Martinis uniquely crafted by the hotel’s in-house Martini mixologist! Eat: Dinner at Lido Azzuro. The restaurant overlooks the suggestive and picturesque port of Amalfi, a maritime town that had always woven its long history with sea, fishing and navigation. Located just few steps from the historical center, it has a privileged terrace from which you can enjoy both the unique natural beauty of the Amalfi coast and the typical dishes of local tradition, rediscovering in every flavour the scents, colors, feelings and emotions of this land with an illustrious past. Borgo Egnazia is like a breathing tale of Puglia, spoken by the ancient culture of the land and by the sheer beauty of its nonpareil architecture. It happens every hour of the year: you come and live your time here, and nature is powerful, peace is intense, harmony is full. It’s a place where you meet your self. It’s Borgo Egnazia: it’s nowhere else. The endless expanse of olive groves, located along Puglia’s lush coast is where you will find Borgo Egnazia with its sophisticated rooms in La Corte, suites connected by narrow alleys in the lively Borgo designed to replicate a typical Apulian town and Three-bedroom villas with pool, complemented with five authentic and unique restaurants, eye-opening Beach Club Cala Masciola, championship course San Domenico Golf, surprising and exceptional Vair Spa, kids irresistible Trullaleri Club, two extensive outdoor swimming pools and one indoor, fascinating cooking classes…and the list goes on. Experience: Explore the region by bike! This is the ideal way to get in a bit of healthy outdoor activity while getting acquainted with the surrounding area. 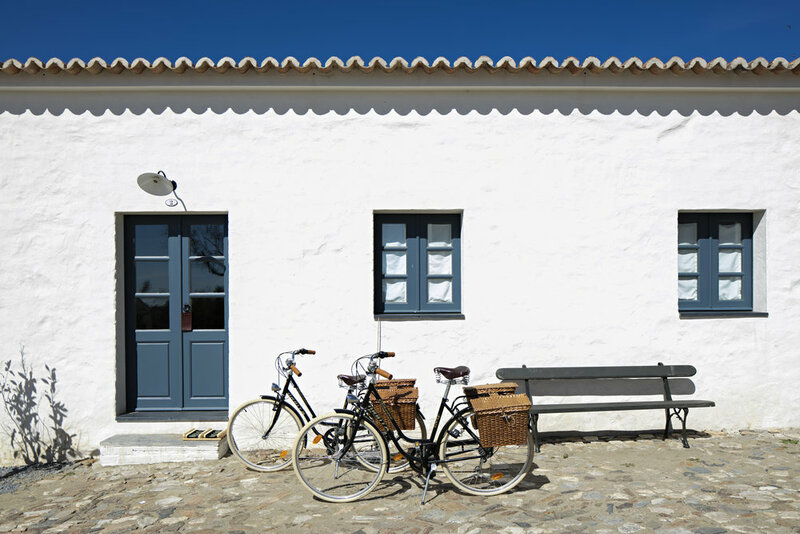 Rent a bike and enjoy a picnic under an ancient olive tree or an almond tree in bloom. Have a lunch at the Beach Club Cala Masciola’s restaurant and enjoy an amazing fresh grilled fish and cocktail, while relaxing on one of the cabanas by the sea. Eat: Dinner at Da Zio Pietro located in the historical centre of Cisternino, this is a typical butcher’shop with an adjoining small dining room where it is possible to taste a wide selection of roasted meat that you choose yourself from the count. Good local wine and simple side dishes can complete the meal. Against the backdrop of the blue Mediterranean sky and sea, Masseria San Domenico lies only 500 metres from the Adriatic coast, once a watchtower owned by the Knights of Malta, its whitewashed building stands amidst centenarian olive groves and is where you can find a magnificent outdoor free-form swimming pool, a state-of-the-art Thalassotherapy Spa, San Domenico Mare lovely Beach Club with four rooms “pied dans l’eau”, a classic gourmet restaurant, the pool Grill, Ulivo Bar, two tennis courts, a modern gym and a challenging 18-hole golf course. 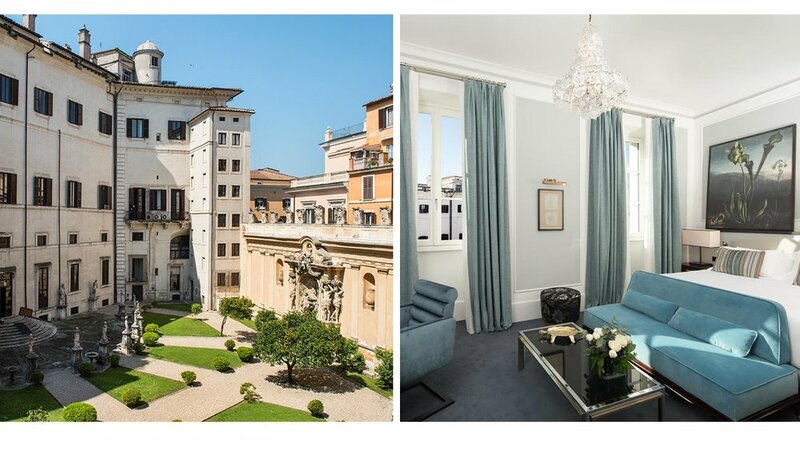 Stark white stone buildings, housing wonderfully comfortable rooms, are interconnected by a series of arched passageways and spacious, open piazzas. To the south is the Adriatic, viewed over a sea of ancient olive trees; to the north are scenic mountains. Experience: Spend a day at San Domenico A Mare, the beach reserved exclusively to Masseria San Domenico guests, with a panoramic pontoon on the rocks with easy access to the sea and a corner of white sand overlooking a cove with turquoise and shallow waters. The beach has a restaurant, a bar and an elegant lounge for relaxing. Be sure to enjoy a Prosecco & Crudo ! Eat: Evening at Pescheria du Mari Located right in the center of the tiny town of Savelletri di Fasano, Pescheria due Mari has a contemporary design that poses a striking yet beautiful contrast to the historic church and ocean port that surround it. The family-owned and -operated restaurant is currently run by a father-daughter duo, who work side-by-side, with the father preparing the food and his daughter serving and practising her English. The menu is seafood-only and the speciality is raw fish. Everything on the menu is spectacular but opt for the daily special, which features the freshest fish of the day. The tiny restaurant boasts a small dining room, but the sprawling alfresco terrace is the best place to eat thanks to the beautiful views. A sunset aperitivo here is a must! How important it is to be fit and healthy. To feel strong and powerful. To feel inspired and full of energy. In the previous post Be Fit and Healthy! , we have suggested some of our best wellness programs in France and Spain. We continue our well-being quest in Italy, with more restorative wellness programs. Tarant is an exquisitely feminine and liberating journey, infused with the soul of the phenomenon of tarantism - an ancient community ritual in Puglia. An unrivalled Retreat, between dances and Spa treatments, for women on the pursuit of their female potential and their own happiness, wisely guided by a local elite of expert therapists, yoga masters, musicians and dancers. In addition to the embracing twilight of hundreds of candles that vibrate in the womb of Vair, the beauty of the myth of tarantism lies behind the mystery of the ritual, unveiled day by day in the form of rare rituals, cuddles for the body and for the “movement” of feelings. In this program everything revolves around Puglia and around women delighted by the sound of tambourines: sacred, profane, ancient folk wisdom and Mediterranean diet featuring a menu thought for the feminine peculiarities. A journey to the rediscovery of taste and the wellbeing of your body. Surrounded by ancient olive trees and just footsteps from the Mediterranean Sea, Masseria San Domenico promotes exercise as an integral part of a healthy lifestyle. The gym is equipped with the latest equipment, free weights and Technogym weight machines, along with a full range of Technogym cardio equipment. Having pinpointed the areas that need extra attention, after a personal functional evaluation, personal training sessions will then help kick-start your potential. Our nutrition is based on a balanced lifestyle. The Mediterranean Diet is the combination of all the food habits in use among the populations overlooking the Mediterranean. This food model, which is even under UNESCO’s protection as world intangible cultural heritage, has proved unique in assuring the permanence of good health conditions over the years. This is not only a low-calorie food regimen meant to make you lose weight but also, and most importantly, a lifestyle based on typical recipes by the vibrant and fresh products found in the region. Personalized menus and fresh and tasty flavors promote the interaction with the social environment, respect for the territory, biodiversity and further enhancement of the Apulian tradition. Feeling good, feeling well, feeling strong! There is no better feeling than being well within, strong and healthy. This season we promote fitness and wellbeing. We'll share with you the best wellness programs in all our destinations. Designed to balance body and mind, the Body & Spirit offers either French Sophrology, hypnotherapy or Reiki, combined with massage, pilates or gentle exercise and stretching. Sophrology is “the science of the consciousness in harmony”, aiming to achieve an alert mind in a relaxed body; hypnotherapy is widely used to reduce anxiety and stress, while Reiki therapists channel life energy into their patients, activating natural healing processes in the body to restore emotional and spiritual wellbeing. The Body Detox is an all-immersive wake-up call for the body; resurrecting slowing metabolism via intensive, high-calorie burning Aquacycling and natural herbal remedies. These can be taken as a Kusmi. Tea, or a fresh infusion made from handpicked herbs from the surrounding garden. Gentle massage of the lymph nodes is used to encourage the removal of toxins and waste products from the blood, while a deeper massage is invoked to release tension from the muscles. The professional team at Marbella Club will prepare and guide you to more body confidence this summer with a combination of total-body sculpting workouts, nutrition guidance and treatments designed to help you look and feel your best. To ensure optimum results, each program includes our full board Purifying Healthy Menus which are plant-based, probiotic and nutrient rich, specifically designed to help you to achieve gentle yet sustainable weight loss, repair and rejuvenation. This uplifting program will help boost stamina and increase physical and mental performance. Not only will you gain more confidence in yourself, you will also gain the tools to ensure you are working out to the very best of your ability. Evidence also points to the considerable mental benefits gained from being active, so you can expect to feel positive and upbeat, too! Our healthy, full board menu is highly recommended during this programme for optimum results. This retreat is the ideal ‘go to’ programme that will take guests from feeling guilty to great again – kickstarting their health and wellbeing to achieve the best results. Body: Fit Weekend Marbella is carefully balanced. A holistic retreat which includes a variety of integrated sessions to challenge the body and mind - such as HIIT circuits and muscle shaping kettlebell workouts, combined with morning runs, yoga and nutrition talks. Mindful Living is designed to relieve stress and help find inner peace and calm, this program consists of a three night stay in one of the hotel’s comfortable junior suites, including a healthy breakfast to give guests the best start to the day. 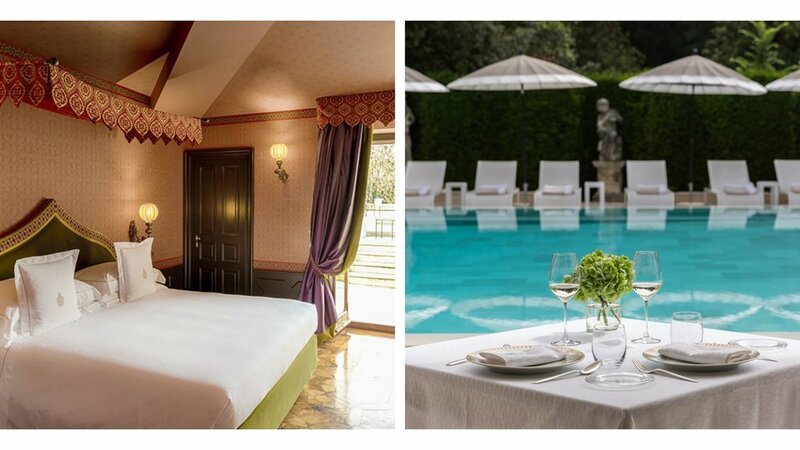 In addition, guests will receive a private mindfulness session with the resort’s in-house expert, an active wellness deep pore facial at the spa and a private tennis lesson at the world-famous Puente Romano Tennis Club, to work on their skills. Combining a mindfulness session with the resort’s in-house specialist and an introduction to meditation, the Yogic Detox programme includes chakra healing and Reikji and will leave guests feeling calm, relaxed and rejuvenated. Treating ourselves is important. And it's something that shouldn't be neglected. We first started our well-being journey to the beautiful properties of Terre Blanche, Marbella Club, and Borgo Egnazia. We'll continue our quest to the outstanding resorts of Puente Romano, Capri Tiberio Palace, and Masseria San Domenico. Water and steam. Heat and ice. Sea and earth. 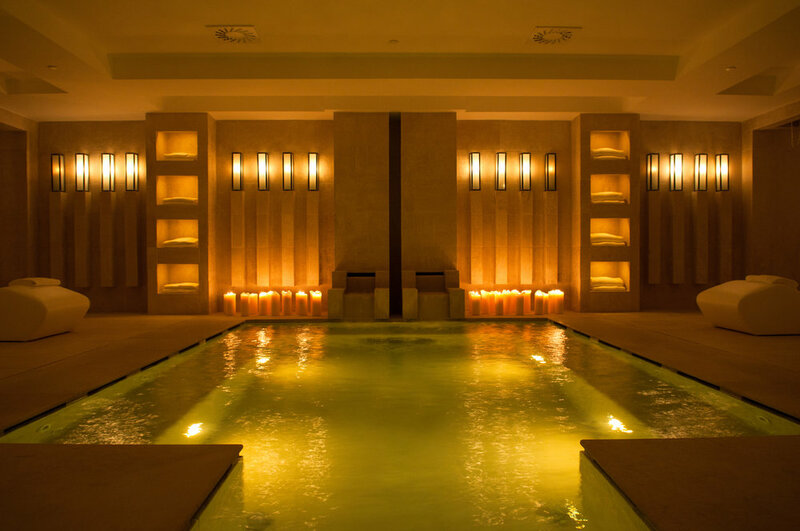 Six Senses Spa at Puente Romano combines the elements with the senses to create a fully immersive experience. Offering a tranquil space for all guests and visitors to relax, the range of treatments and facilities helps refresh body and mind. Taking inspiration from the Six Senses philosophy, the spa's design combines local architecture and craftsmanship. Concentrating on both body and mind, the treatments and facilities are all inspired by natural healing. From a welcome drink of warm ginger tea to the tranquil atmosphere in the wet area - every minute of your time in the spa gives you the chance to focus on refreshing your senses. The Tiberio Spa is an authentic wellbeing oasis where one can unwind after a day lived on the shores of the Mediterranean. Every detail of the Spa has been meticulously designed in order to allow guests to drift through an updated oriental zen atmosphere. Spa Tiberio’s atmosphere is an original blend of contemporary design, local scents, attentive customised service. Not to mention a breathtaking view of the Mediterranean Sea and the town. Thanks to its unique vibe Tiberio Spa recreates Capri’s longstanding tradition as an exclusive destination for lifestyle. A luxury, yet elegant escape from the everyday life routine. 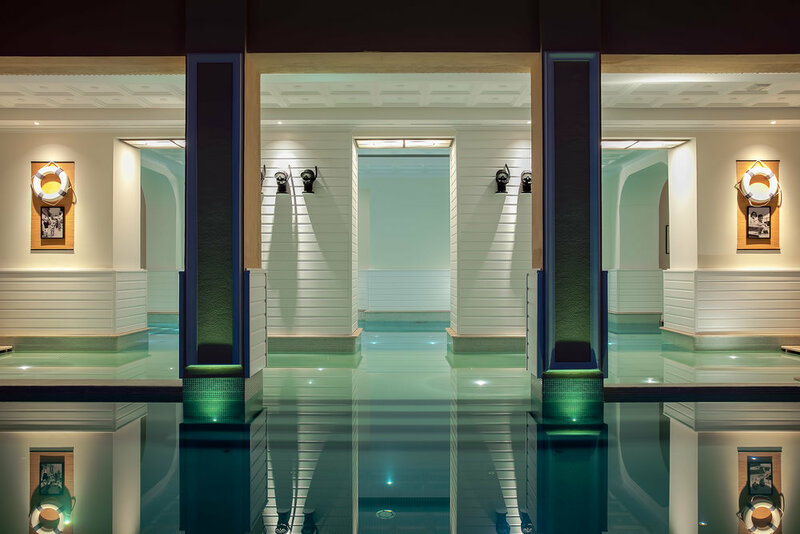 Spreading over two floors, the Spa features 6 therapy rooms, sauna, Hamman, frigidarium, gym, 6 water-jet showers and a stylish indoor-outdoor pool overlooking the island’s beautiful southern bay. Tiberio Spa perfectly expresses Capri Tiberio Palace’s philosophy; providing an exclusive, compelling and unique holiday experience. The essential element of thalassotherapy is sea water. Its salinity is very rich in minerals and the abundance of trace elements also makes it a primary source of purification for the human organism. The water used is drawn from a deep underground stratum, which sits at about 400 meters below the sea level. This water is also completely purified by means of filters and is then heated in our center’s circuit using the most up-to-date equipment. Another beneficial richness coming from the sea is seaweed. Seaweeds have vast concentrations of minerals and vitamins, essential for the improvement of our biological functions. The seaweed is crushed and micropowered and then added to seawater in hydro massage and compresses. Seawater and seaweed, are an exceptional cocktail producing an equilibrating, tonic, invigorating and detoxifying effect. Enjoy the journey, replenish, and relax! The Best Food is in Europe. Everyone agrees on this. We travel to Europe for many reasons, but one of them is for the cuisine! Europeans just know how to eat well, and everyone loves to eat…and well! 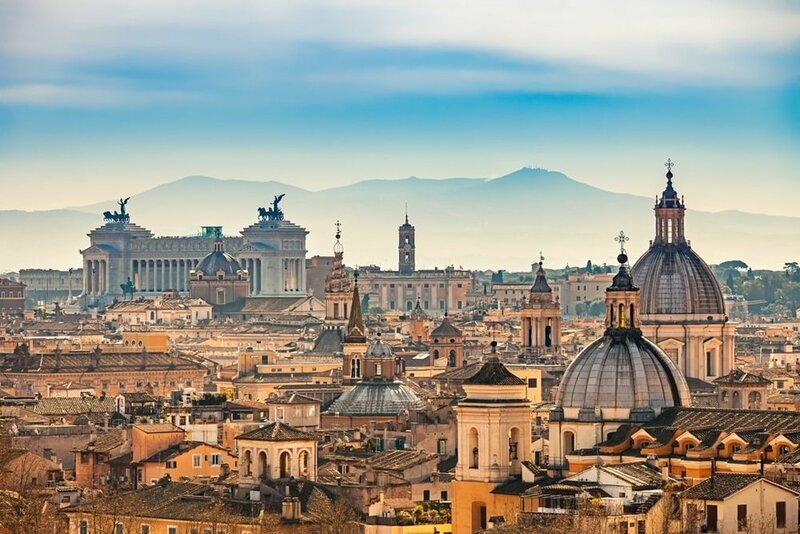 So we’ll take you to southern Europe, to each of our destination, to share our favorite local restaurants, the hidden treasures and best places to eat! We’ll begin our journey in the historical town of Florence. Our favorite local restaurants in the city are I’Parione, for a real classic Tuscan dish. Cestello Ristoclub, offers a new experience in a fish-market/restaurant where you can choose your own fish and a specific cooking recipe. And of course, the famous Tuscan restaurant Buca Lapi, with its impressive wine cellar situated beneath an imposing historic palazzo. Of course, we wouldn’t come to Italy without spending a few days in Rome! We have selected some of the very best restaurants in the city, for a real authentic local experience. Felice a Testaccio, for the best Caccio Pepe in town! The restaurant Da Bucatino, offers an opportunity to taste the ancient flavors of traditional Roman dishes. Sora Margherita for a very rustic experience and the best tagliatelle Fatte in Casa , Carciofi alla Romana and fried artichokes! Yum! 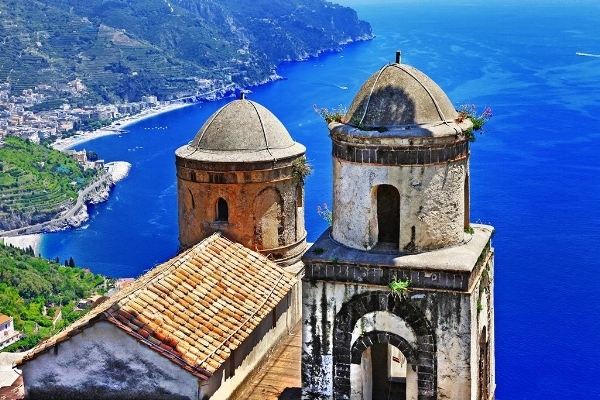 Let’s go further south, to the breathtaking coast of Amalfi. Many restaurants to choose from on the coast, but we made a selection of the very best for you. Lido Azzurro overlooking the suggestive and picturesque port of Amalfi, the restaurant has a beautiful terrace with typical dishes of local tradition. The restaurant Da Lorenzo, located in Scala, just across the valley from Ravello, has all the charms of a trattoria—friendly, family-run atmosphere and a lovely, rustic setting, with a cuisine to die for! For a unique experience, the Conca de Sogno, accessible by boat only, in the most seducing bay of the Amalfi coast, this charming restaurant offers amazing regional seafood cuisine. We will travel across the country to the secluded region of Puglia. We have picked some of the best-hidden spots to eat in the region; Da Zio Pietro, located in the historical center of Cisternino, this is a typical butcher’shop with an adjoining small dining room where it is possible to taste a wide selection of roasted meat that you choose yourself from the count. Locanda d’Martume, located in the main town of Fasano, in a vaulted ceiling dining room, this restaurant offers typical Fasano style dishes using only seasonal and local fresh products. Pescheria due Mari, located right in the center of the tiny town of Savelletri di Fasano. The spectacular menu is seafood-only and the specialty is raw fish. And to start the year, another hidden jewel that arrives to our Unique Stays collection...this time in Portugal, the oldest country in Europe with the same define borders since 1139 and its Alentejo region, home to São Lourenço do Barrocal, a fascinating Monte (ancient small farming village) that has been in the owning family for over 200 years...I arrived on a Saturday evening after a long trip from Vancouver (please note that TAP will be operating to Lisbon from JFK, Chicago, St. Louis, Miami, Toronto and Montreal in 2017). At arrival, the last generation of this family was waiting to welcome me and have a wonderful family dinner, Jose Antonio Uva (the visionary behind Barrocal), his wife Ana Anahory (the talented interior designer of Barrocal) and their fun kids. The dinner couldn't be more special, the food at Barrocal is so pure, local and authentic that you are expecting the typical grandma coming out of the kitchen at every moment, but instead, you have a team of very professional young locals that makes you also feel at home (picture with them, above). The grounds are magical, peaceful and beautiful, ideal for long walks, off-road biking, trail running, horseback riding...the list of activities are endless. 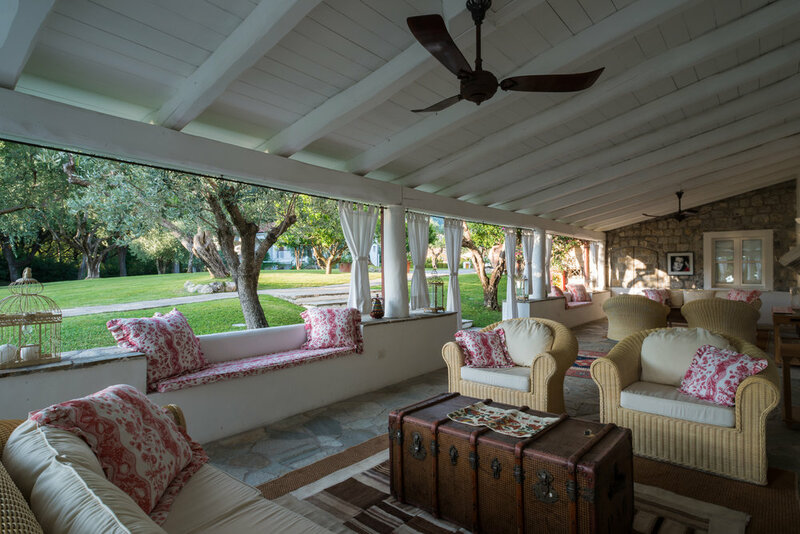 The wonderful rooms and cottages (1, 2 & 3 bedrooms) are in communion with the soul of the place, rustic chic would apply to the style but without losing any component of what it's expected from the discernible traveler. Special mention to the amazing Spa by Susanne Kaufmann (Best Hotel Spa in 2017 by Monocle), literally one of the most relaxing massage I've ever received and the winery, an integral part of the hotel and the estate's regeneration, producing wonderful single-estate wines to die for! 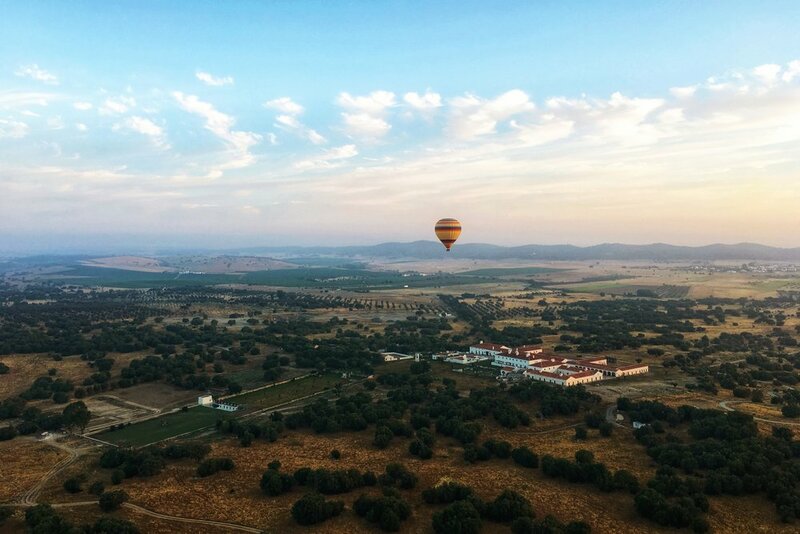 And let's not forget how amazing is the surrounding area, Evora is merely 25 minutes and it is a UNESCO World Heritage Site...and only 10 minutes away you can find Monsaraz with its castle, medieval town, charming shops and restaurants (Sabores is the place to eat...amazing!). All in all, an ideal, bucolic and dreamy destination, where you can reconnect with your family, couple or yourself in one of the most attractive countries to visit now in Europe...I will be back with my family in June, that is how much I loved it! Just got back from a dreamy long weekend at Terre Blanche, a wonderful resort/destination nestled between Provence and Cote D’azur. I landed at Nice airport on a Thursday afternoon and the Terre Blanche Mercedes class S was waiting for me and in less than 40 minutes I crossed the gated walls of the property, 1 ½ the size of Montecarlo. The grounds are so beautiful and lush, in fact, you are in the middle of a beautiful Provencal forest and the only views of human civilization are the quaint and charming towns of Fayence, Callian and Tourrettes perched in the nearby hills. The reception area is spread with the owner’s art collection and even it is spacious and airy, feels warm, in touch with the nature and the colors of the whole village/resort match with the earthy feeling of the area. I was escorted to Villa Provence, a two bedroom villa with a stunning terrace and plunge pool that also acts as an immense whirlpool (I counted and you can invite up to 16 friends inside! ); super spacious double sink bathrooms with bathtub and walking shower, a great kitchen room with a wine refrigerator stock with the best whites, roses and champagne, a full stocked bar…all this makes Villa Provence the perfect accommodation for a large family (sleep up to 6) or two couples. On Friday morning I played at Le Riou, one of the two Championship golf courses, and I loved it! The golf facilities are world class and any golfer of any level will feel absolutely impress with them, from the Swing analysis, to the driving range and Le Riou & Le Chateau; the 19th hole was a fun lunch at Le Caroubiers, the amazing grill at the Club House. 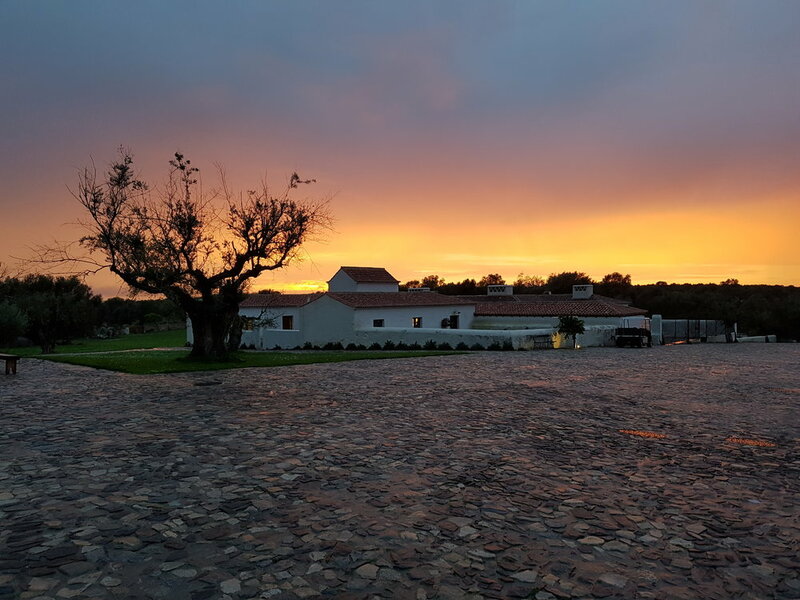 After a fantastic massage at the award-winning spa, we rode 4x4 buggies through beautiful trails and we arrived in a tiny local winery where the owner ‘forced” us to taste some fantastic whites and roses. To end the amazing day, we have dinner at Faventia, the one Michelin star at the property...that was a 4 hours dinner including the kitchen tour and the long debates and fun conversations with the more than charming team at the restaurant. Saturday was the perfect day to explore the area in a vintage Citroen 2CV so we went to the farmers market in Fayence where I found beautiful hancrafted wool ‘echarpes’ and multiple non-touristy stands. From there we went to visit Chateau d’Esclans, home of the famous Whispering Angel (a.k.a Hampton’s water) and we enjoyed a visit followed by wine tasting, including the most expensive rose in the world, Garrus. After this fun morning, we stopped for lunch at world famous Chez Bruno, where all the dishes are truffle based, not just flavoured but totally full of shaved truffle and even a full 60g truffle in one of the dishes…also white truffle from Alba in a simple pasta dish, really spectacular and a must when in the area. 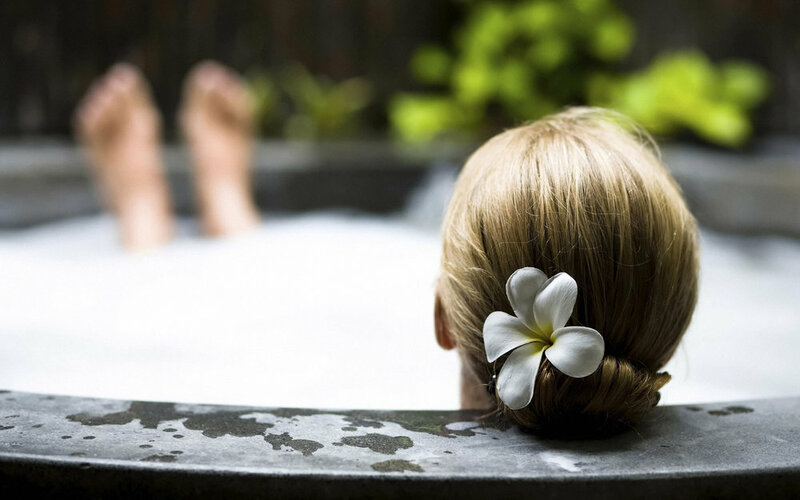 A leisure afternoon was needed after the 10 dishes truffle lunch and what a better place that our wonderful plunge pool at Villa Provence…then get dressed to party in Cannes, such a fun town and only 35 minutes from the property. Sunday was also spectacular, we took a private boat from Cannes to Ile Sainte Marguerite and spent the day at La Guerite, the unofficial beach club of Terre Blanche…picture the perfect Sunday, by the water, with friends and good looking people all around (favorite Beach Club of Beyonce). Sadly, everything great comes to an end too, and early Monday, I left the property direction Nice airport (40 minutes’ drive) but with a huge smile on my face, because I discovered an extraordinary and cool destination all around the property. Huge shout-out to Rachel David, Candice Berger, Gilles Fouilleroux and the amazing team behind them at Terre Blanche for creating such an amazing experience and make me fall in love once more with Terre Blanche.